I thought I had walked straight into a Hollywood buddy film. You know, two dissimilar dudes with a singular goal. One is a cop and the other is a regular guy. They have to cooperate and overcome adversity to win the day. And there is a moderate amount of snark along the way. Welcome to Smith & Bradley’s SHOT Show booth! Jerommie Smith is a police officer. Ryan Bradley is an attorney. Ooooo, natural enemies in the wild. As watch fanatics, the men spent years buying, selling, and repairing many brands of wristwatches in Central Illinois. The time came when they decided to make a reliable watch that had the features and design they wanted, at a reasonable price. Smith & Bradley, Ltd. was founded. Bradley was quick to tell me that there was no professional enmity between the two friends. It was like dogs and cats living together. It can be done. Their love of timepieces apparently overrides any cop or lawyer jokes. Smith said they are committed to customer service and delivering a superior product. A look at their displayed wares definitely showed the latter. -Black Silicon Band with 316 L Stainless Steel Buckle and Italian leather band with buckle. 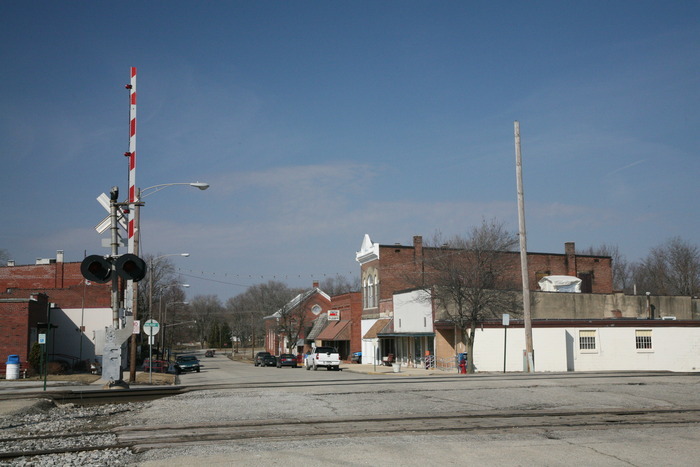 Smith & Bradley watches are conceived and birthed in Sidney, Illinois. Components are combined on two work benches–one for case assembly and dial and hand setting, and the second for fitting the movement to the case. Timing and case sealing are the final processes. Designed with the Military and law enforcement in mind, Smith & Bradley’s Sans-13 was their initial offering. It is a durable, well-thought-out timepiece. I purchased one immediately after SHOT Show, so a review is forthcoming. 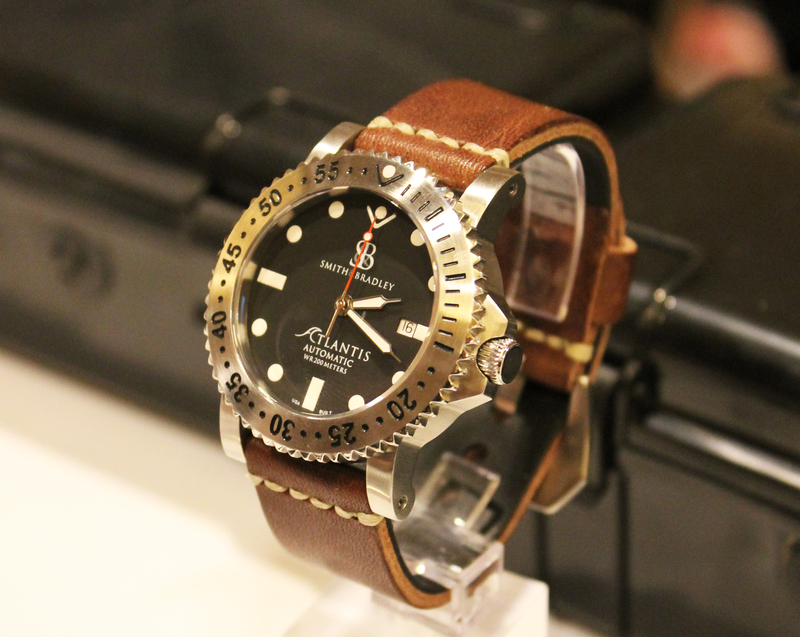 The Atlantis model is a stunning dive watch. If you want one for an introductory price of $350.00, you would be advised to move quickly. The Kickstarter window closes on February 13, 2014. After that, the production watch’s price will rise. I spoke to Ryan Bradley this morning and he told me there were two other projects in the works that Smith & Bradley would be announcing in the next couple of months. All I will say for now is that they sound very exciting. 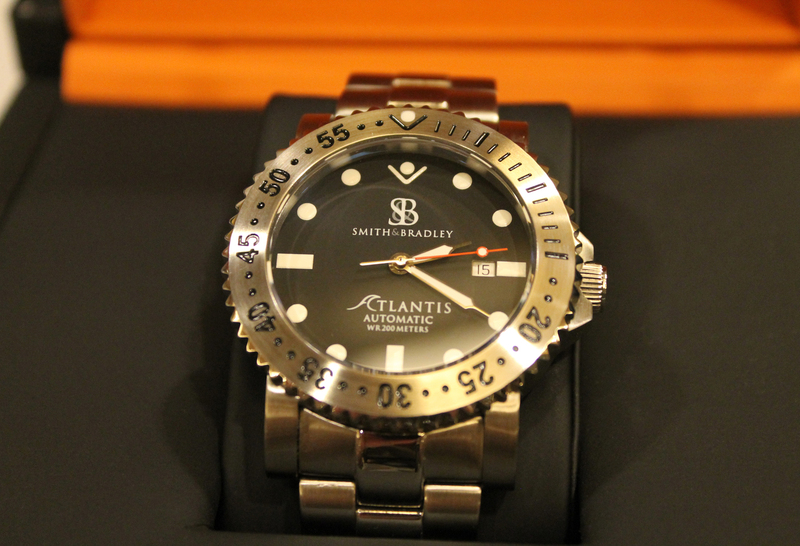 This entry was posted in Watches and tagged SHOT Show, Smith & Bradley Atlantis, Smith & Bradley Watches. Bookmark the permalink.